George Saunders, author of the novel Lincoln in the Bardo, in conversation with Richard Wolinsky. 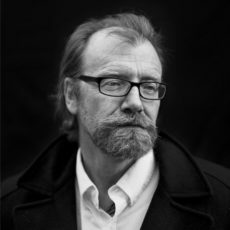 George Saunders is the highly acclaimed author of several short story collections, including “Tenth of December,” “CivilWarLand in Bad Decline,” “In Persuasion Nation” and others, along with political commentary that recently appeared in The New Yorker and other magazines. His latest novel takes place in the form of a fictional oral history from the perspective of several ghosts who survive after death in a Washington DC graveyard in 1862. Willie Lincoln, the favored son of Abraham Lincoln, has gotten sick and died, and during the course of the book, the President visits his son’s tomb. The book deals with the Civil War, with the relationship of blacks and whites in America, with beliefs about life and death, and with the relationship of history and memory. Lincoln in the Bardo won the 2017 Man Booker Prize.